If you follow me on Instagram, you already know that this summer has been the busiest one for me yet! It has been filled with both some great work related excursions and some priceless moments with my loved ones. I had a chance to take off to some great destinations such as Rincon, Puerto Rico and the luxurious Santa Barbara, but also found a lot of peace and fun through some truly memorable road trip stops. Some of you may know that one of my best friends since childhood got married this summer and this meant that for the first time in nearly 7 years, my entire crew got to be together. It’s 4 of us who have been best friends since Junior High and one of the crew now lives in Australia, so she’s usually the missing link. But she was here for this summer and all was right in my world again. 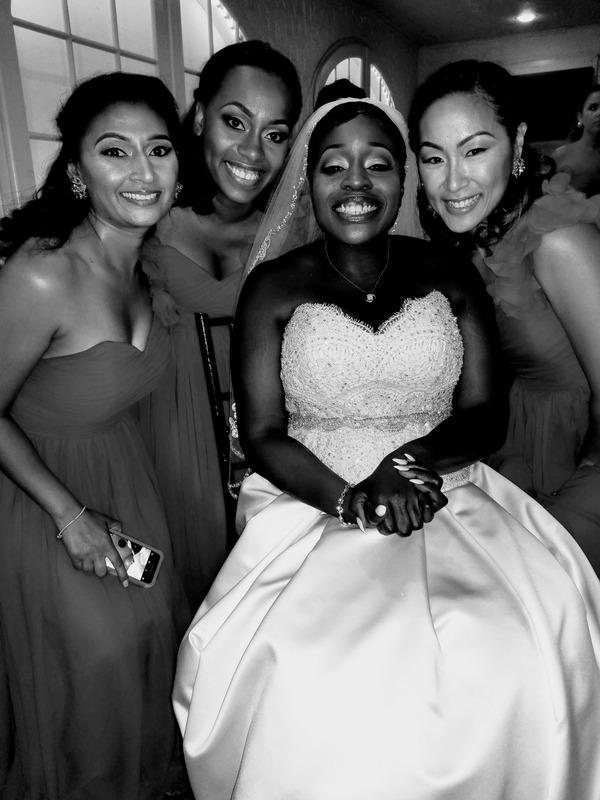 I pretty much structured much of my summer plans around this wedding, and outside of the pre-wedding happenings and the wedding itself, I still managed to fit in some OMG moments and travel adventures. 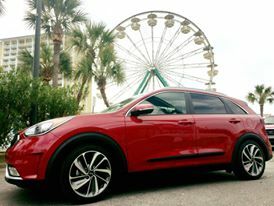 Not to sound cheesy, but the road trip game changer for me this summer has been the addition of the Kia Niro into our lives. It’s such a Godsend for road trip for several reasons. First, you cannot beat the gas mileage on this car! Imagine filling your tank and seeing that you have 530 miles on that tank! Yes, that happened. 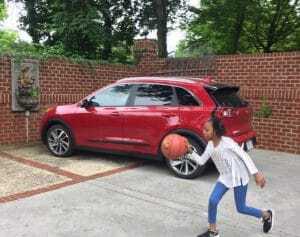 The Kia Niro gets an average of 50 mpg, which is actually a big comfort for me in planning my road trips, knowing exactly where I’d need to stop for gas to avoid a sticky situation. Then there were these other features I discovered on the Niro along the way, sort of by accident. Like the time I put my phone down to rest and found out it was a wireless phone charger. haha. I’ve also found that I can literally charge each of my devices at the same time when work called and I had to pull over on the side of the road for a few minutes. So now to the adventures! I’ve literally been up and down the East Coast in the Niro and had a chance to create several memories along the way. 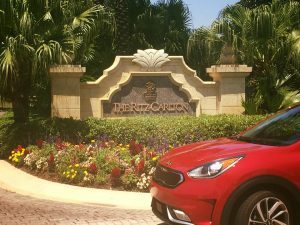 Here are our 10 most memorable stops on our Kia Niro Journey! You recall I had a chance to experience it for about a week during Spring Break in Myrtle Beach. It made me feel like a total eco-warrier and I loved the mix of modern style and sophistication along with its incredible efficiency as a crossover vehicle. I will never forget the terrible storm we experienced on our way back. This was also when I discovered what a huge relief many standard safety features on the Niro were. Since several of the trips I was taking this summer were either by myself or alone with the kids, I really appreciated the extra support. Among other safety features, the Kia Niro offers blind spot detection, lane change assist, lane departure warning, and my favorite – smart cruise control that automatically adjusts your speed to maintain a safe distance from the car in front of you. 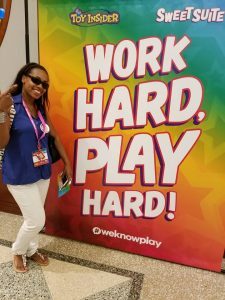 I got to visit Orlando for my first ever Mom 2.0 Summit. 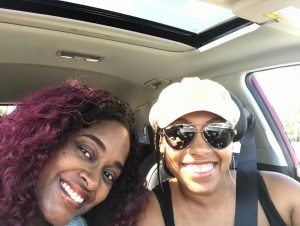 I was driving down with a fellow blogger Danielle Slaughter, from Mamademics. At the time she was about 7 months pregnant, so in addition to our safety, her comfort was really important. The Niro met that challenge as well! 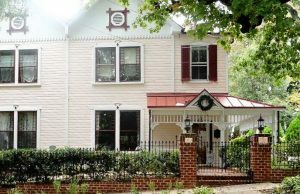 My mother-in-law owns an awesome Bed and Breakfast in Lynchburg, Virginia called House of Lydia. 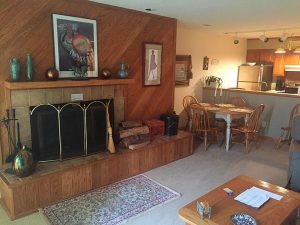 What’s always fun is the fact that my kids’ trip to grandma’s house gets to be a total luxury experience for them (and mostly for us). We get to enjoy the peaceful tranquility of her place, devour organic homemade meals, pamper ourselves in the luxurious spa-bath and just completely rejuvenate and renew our spirits. This, while “grandma” gets to play with the kids until they run out of of energy. Win-win, right? 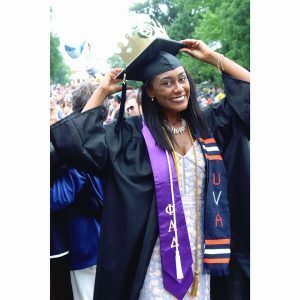 So, this summer I finally made it back to the University of Virginia! I know that as the summer has progressed, this city has become less exciting for me, but this was actually a special trip for me at the time. I addition to it being my husband and my alma mater, I got to see my little sister graduate from here as well and with honors at that! Driving through town felt truly surreal to me and for maybe a minute or 2, I felt like a college freshman (or as we say at UVA, “First Year”) all over again. 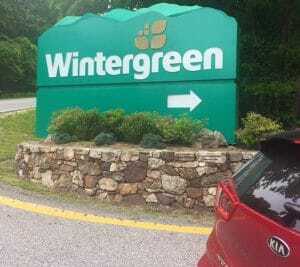 Wintergreen is a year round mountain resort located on the eastern slopes of Blue Ridge Mountains. 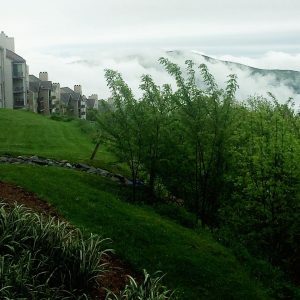 It’s only about a 45 minute drive from Charlottesville and my husband and I used to visit here back when we were dating and it was always a special time. Years ago, our phones didn’t work, cable reception was spotty and we had no choice but to talk to each other. You have no idea how much I miss those days sometimes. I think there might have been some cell phone towers added since then though because its not quite like that anymore. Savannah is such a charming city, but also a really fun place for a girlfriends getaway. As I mentioned, one of my best friends since childhood got married this summer, so we hosted her bachelorette party here! Of course, we’ve confiscated many of the photos from this weekend :-), but suffice it to say, we had a very memorable time. Another special memory was that my awesome 4some of sisters were reunited for the first time in 7 years this weekend. Our friend, Christina, is the one who lives in Australia but since she flew in to Atlanta just days before, I had a nice 4 hour drive each way to catch up with her. It was amazing how much was still left to share outside of Facebook and Skype! Pretty much my entire family lives in Northern Virginia, so next to Atlanta and New York, this feels as home as home can be for me. It’s so important to me that the kids spend time here and in Lynchburg every year so they can form those strong bonds with their cousins as I did growing up. Plus, I miss my family so much I never want to leave! My younger brother, who gave me the scare of my life when I nearly lost him just over a year ago, hosted the 4th of July at his home and we managed to get a good number of the 1st cousins together with our kids – a task that’s much harder than you can imagine sometimes. Also, I shared with you guys how 2016 was an emotional roller coaster for me as my step sister BEAT OUT CANCER last year and I got to spend some time catching up with her. It was incredibly surreal considering the fact that this time just last year during my trip, I didn’t know if I’d ever see her again. But God is great! Although most people know that I grew up in New York, New Jersey was actually my weekend/summer/holiday home. My dad, grandmother and bothers all lived in West Orange, NJ, so I spent a lot of time there as well. I still have family there and it was great that the girls got to spend an entire week with their Godparents and Godbrothers here this summer. Meanwhile, my best friend got married here and I was happy to witness her beautiful union! Yes! I made it back to my hometown for 2017 Blogger Bash! I actually hadn’t driven in the city in a while, but we survived it! The Niro and I that is. ? 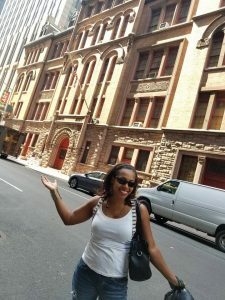 In addition to a super fun Blogger Bash event and Sweet Suite, I stopped by my old High School in the heart of New York City! On top of that, I ran into an old business teacher of mine and shared with her all of the things I was doing now with my business and how much I appreciated those lessons I learned even back then. Now to the best part – she asked me to go back there one day during the school year and talk to some students there! That would be a dream come true for me! Last Week of the Atlanta Fair - Here's what you need to know! Wow! It looks like you were busy, but that you had a great time. 🙂 Love all the photos. Glad everyone is safe! Looks like a really cute little car and I love that it’s so great on gas! Wow!! What a summer! You have been busy for sure! With all your road trips, looks like the Kia was perfect to handle all the things that you did and places that you visited. Very cool car. Ten weeks on the roads sounds like awesome. You really get to see the country. Great pictures, a lovely post and such a cute car, keep sharing, would love to read all your future updates too. 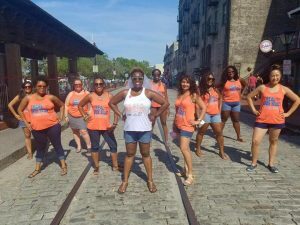 looks like such a fun trip – i’m dying to go go savannah georgia! This car looks so wonderful. This will be a perfect car for me. It looks so comfy. I just got a Kia – LOVE IT!!! What a great summer you’ve had. So many fun places. We just visited Savannah twice in the last year, and I can’t wait to go back and explore a little more. Wow… that’s a lot of traveling for the year. It’s nice to take a break and visit new places. Sounds like a neat car u have there. An suv that is great on the miles…might need to get one myself? 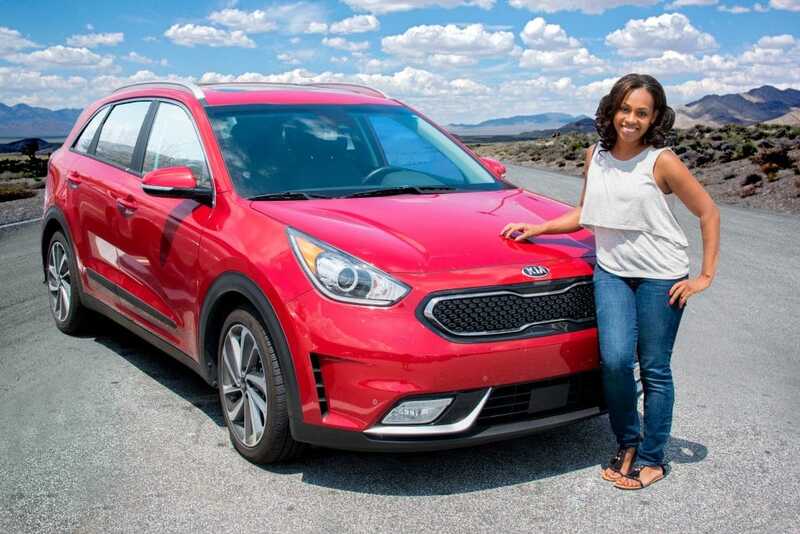 it looks like you really enjoyed your road trip with the new kia niro, and the idea of being great on gas is very amazing. I love road trips and have taken several throughout the USA. It’s amazing to see the beauty here in the United States! Looks like you had a fabulous time! Wow, what a quite adventure! I enjoy road trips, but I don’t think I can survive traveling that far 😀 glad you enjoy your trips!